Ten years ago, Direct Communications became one of the first companies in southeast Idaho to offer wireless internet. Since then, both our business and the broadband industry as a whole have changed dramatically. We have decided that in order to move our business forward more effectively, we will be selling our wireless internet assets in Idaho to our friends at Digis, who specialize purely in wireless internet, so that we can focus on our core business of growing our fiber optic network in Idaho and developing our wired internet products, including our cable and DSL technologies. Basically, we want to focus on the things that we do best, and on the products where we have a real competitive advantage. Please note that this sale does not include any cable, DSL, fiber, mobile wireless (cell phone), or Syringa Wireless assets, or our wireless customers on Digital Bridge (DBC) networks. So, to most of our customers, while this sale will not affect your wired internet service, we wanted to explain why this is good for your future with Direct Communications. Some of our customers have expressed concerns such as: Why are you selling the wireless business? What is the future of Direct Communications? “I wanted to let everyone know about the sale of our fixed wireless assets (not cell phone). A few months back, we were approached by a company (Digis) to buy our wireless customers. We did not go out and look for a buyer. We did evaluate their offer and believe it to be best to sell this particular asset. The proceeds of the sale will go toward growing the company’s other networks. It always makes employees and customers nervous when things happen such as this. So, I believe it important to explain things to all of you. I just want to emphasize, the sale was not essential from a financial point of view, but we figured it to be the best thing at this time as we look towards the future direction of the broadband industry. 2. an uncapped and reliable fixed service for streaming data, video, and future services. We will be the solution for a fixed home and business internet service. We should be able to accomplish this with our cable, fiber, and DSL networks. Though fixed wireless is considered a broadband service, I believe the bandwidth to be too limited for the amount of bandwidth needed in the short future (both in quantity and quality). Please understand, we are doing this to strengthen our business, and move in the direction we see the future of broadband service going. Fiber Optics is the future of the internet, the future of our company, and the future of rural broadband. Someday, we will have fiber optic cable to every home in our phone exchange areas, and hopefully to as many homes as possible in our cable areas. We have spent the past couple of years building fiber to the vital institutions that serve your rural areas, like city, county and government buildings, schools, hospitals, doctors offices, libraries, small and large businesses, and many homes. We have also been delivering fiber service to the cell phone towers in the area, and even to most of our competitors in the area. Without an extensive fiber optic network, our rural economy in Idaho would not be able to function in this information age, so we are making a huge bet on fiber for all of us. What will we do with the proceeds of this sale? We will invest the proceeds back into the communities we serve—into building our fiber network in rural Idaho, and also delivering faster speeds on our other wired internet products, like cable and DSL. 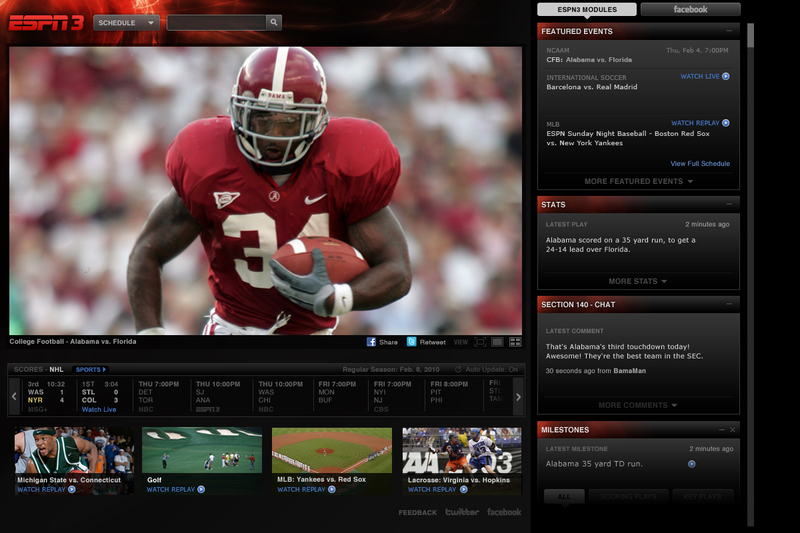 Witness the drama unfold each week as the Nation’s top teams and biggest rivals battle on ESPN3 and WatchESPN. College Football on ESPN. All Season Long. We will try encourage our customers to use the internet more for your video entertainment needs, a technology that is really taking off right now as more people subscribe to online services like Netflix and Hulu. You will begin to see new branding based around the tagline we already use in our Utah exchange ,where most of our customers already have fiber to the home: Faster. Streaming. Broadband. As a marketing person, I am pleased that our company will be more focused on a single product line. A smart marketer once said: “Do one thing great. Eliminate the irrelevant.” Until fairly recently, we were providing various services including WiMax, Wireless, Cable etc, to over 90 towns in southeast Idaho, and each town’s offering was slightly different. That was a lot for our sales, customer service and technicians to keep up to date with. We were competing with ourselves in many places, covering the same areas with both wireless and wired service. That will now be a thing of the past. We will leave wireless to the people who make that their sole business, and focus ourselves completely on investing in, and improving, our wired networks, where we have a real competitive advantage. This should improve customer service, product design, and the speed at which we respond to new developments in broadband technology, including keeping up with bandwidth needs. Please call us at 208 548 2345 if you have any concerns about this sale. I am confident that you will be very happy with results of the new direction we are taking as your local broadband service provider, and for those customers who will be transferred to Digis, we are also confident you will be happy with your continued wireless service—they are experts in the wireless field.